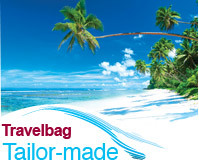 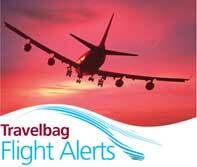 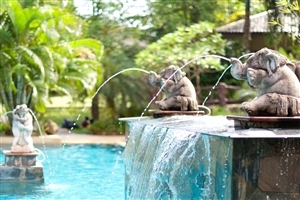 Experience the Thailand holiday adventure of a lifetime with this exceptional multi-centre tour with Travelbag. 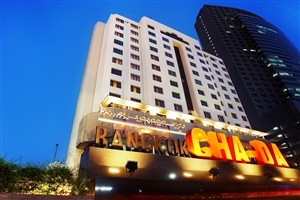 Beginning in Bangkok, spend three nights immersing yourself in this lively metropolis, famed for its exquisite temples, exhilarating nightlife and engaging culture. 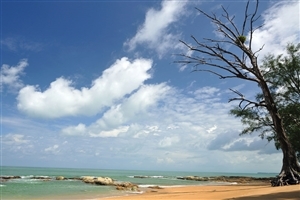 From here, head towards Thailand’s iconic western coastline for five nights spent experiencing the beautiful beaches and exotic atmosphere of Phuket, before venturing further north for five nights in up and coming, yet still enchantingly relaxed Khao Lak. 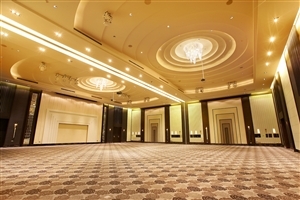 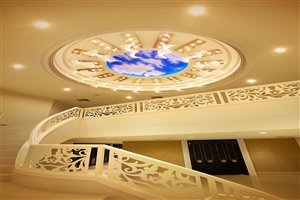 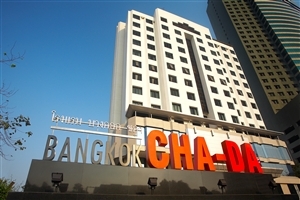 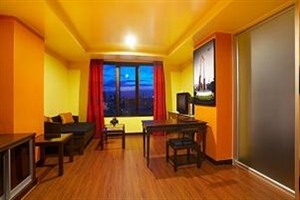 With a superb location on Ratchadaphisek Road in the heart of Thailand’s capital city, Cha-Da Bangkok is an excellent choice for a Bangkok holiday hotel. 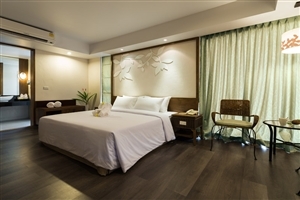 Cha-Da offers modern and spacious accommodation throughout, plus generous amenities and facilities, including a rooftop swimming pool, the Vimala Spa and a fitness centre. 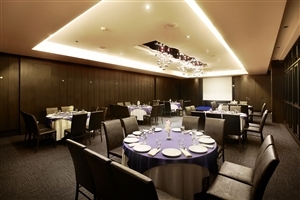 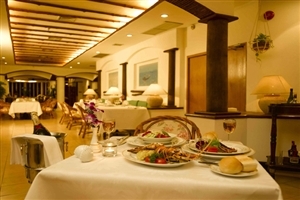 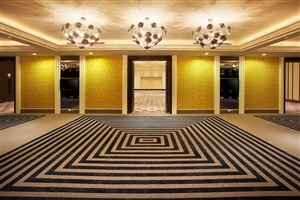 Additionally, Cha-Da features two dining establishments, while guests travelling on business can take advantage of the excellent meeting facilities. 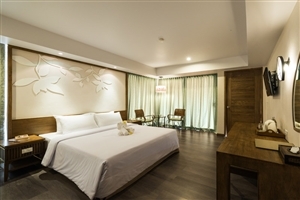 The Superior Room at Cha-Da Bangkok offers contemporary Thai-inspired decor and is ideal for both leisure and business travellers with its large comfortable bed and compact sitting area. 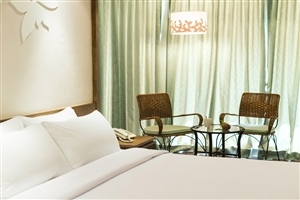 The Deluxe Room at Cha-Da Bangkok adds a larger sitting area and an oversized sofa-bed for greater convenience and accommodation opportunity. 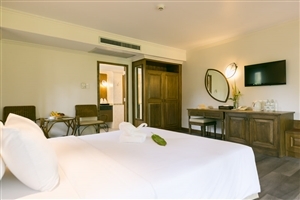 The Junior Suite at Cha-Da Bangkok features a separate bedroom and living room area, including an oversized sofa which can be converted into an extra bved. 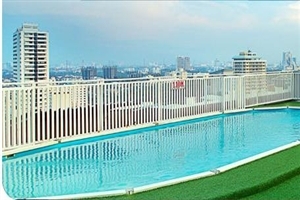 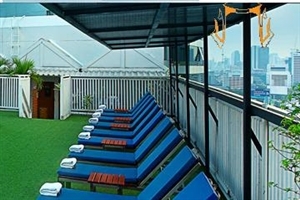 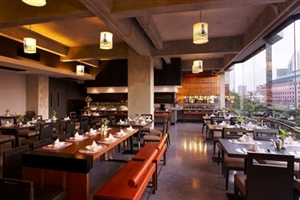 Guests can also enjoy stunning views across the Bangkok cityscape. 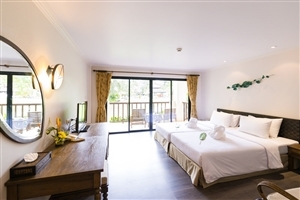 A new concept in high quality tropical hospitality at an excellent price, The Leaf on the Sands is a marvellous budget hotel from Katahani Resorts tucked into Khao Lak’s gloriously verdant interior. 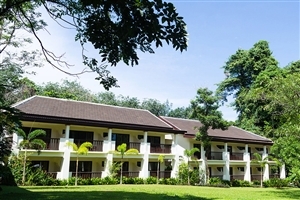 A contemporary resort for those seeking a more relaxing Thailand holiday, The Leaf is inspired by its location amidst hundreds of tropical trees and the sweet aromas of countless plant species, creating a wonderfully idyllic and natural setting. 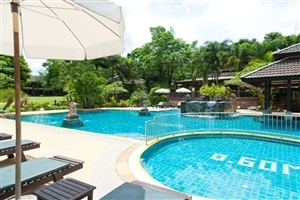 The ideal haven for a quiet escape, The Leaf comprises of stylish guestrooms, chalets and villas, each tucked into the tropical gardens, while facilities include a swimming pool and an array of tempting Thai cuisine from the Rice Barn restaurant. 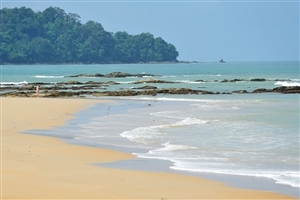 Better still, if you’re dreaming of Khao Lak’s famously pristine sands and sparkling waters, Nang Thong Beach remains just a five minute stroll away. 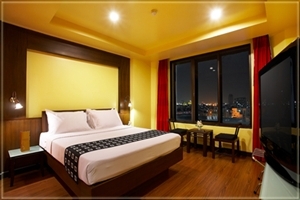 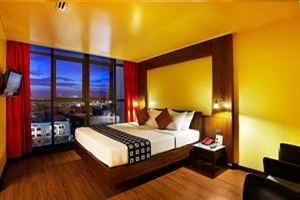 The Deluxe rooms at The Leaf offer 38sqm of accommodation space and are located in the corners of the building. 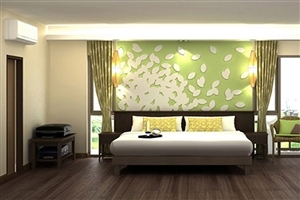 These rooms are aimed at couples travelling with small children. 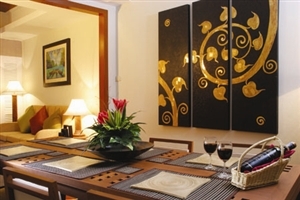 The Chalet at The Leaf offers 40sqm of accommodation space, including a spacious terrace overlooking the tropical gardens, while the upper level offers extra privacy with a well-sized balcony. 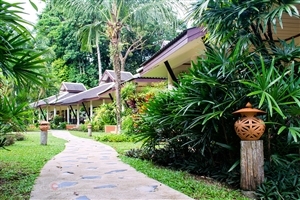 The Chalet is equipped with a sky-lit shower. 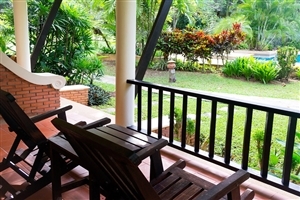 The Villa at The Leaf offers 40sqm of accommodation space and features a private terrace surrounded by the resort’s beautiful tropical flora. 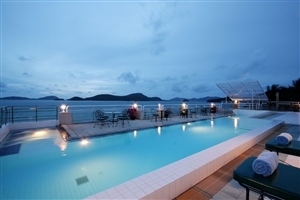 Designed to allow plenty of natural light to flood through, the Villa even features a shower with an indoor sunroof. 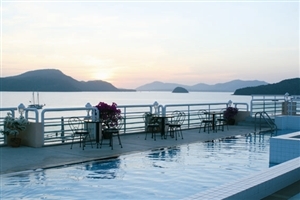 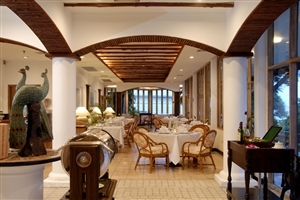 The Kantary Bay Hotel is a charming beachfront hotel that is totally unique. 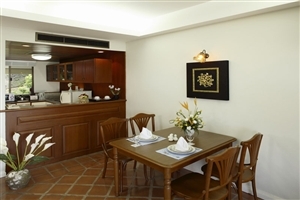 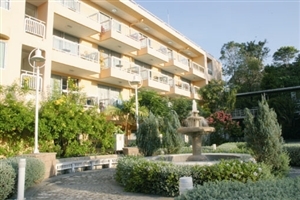 Each room is a suite, with living and dining areas as well as a small kitchen and balcony. 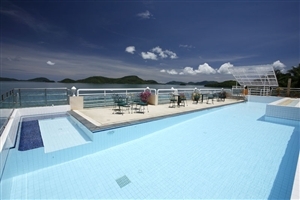 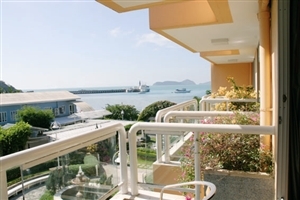 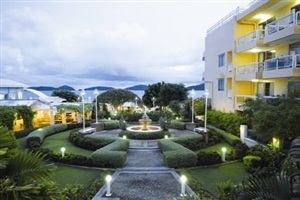 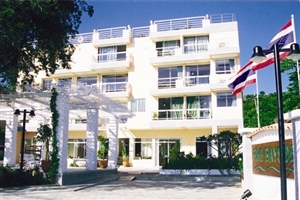 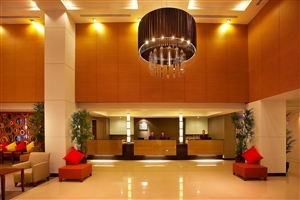 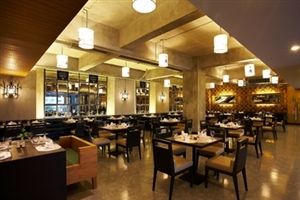 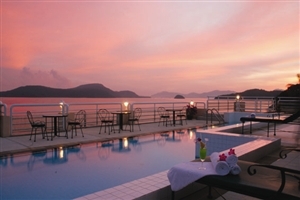 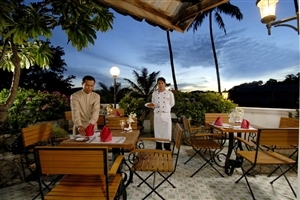 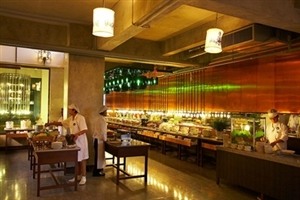 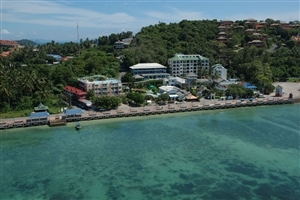 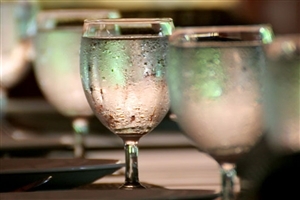 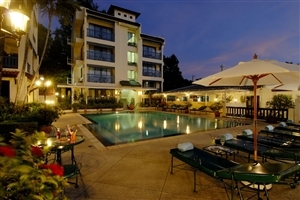 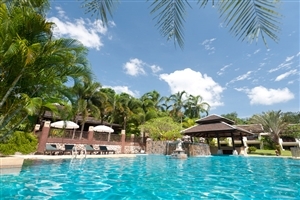 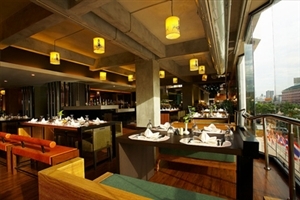 The Kantary is just a 15 minute drive from Phuket Town so a choice of bars and restaurants is never far away. 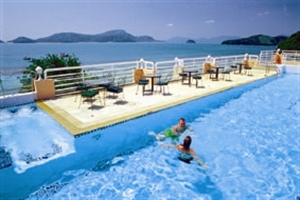 What's more, as the Kantary Bay's sister property, the Cape Panwa Hotel, is just a two minute drive away, you get to enjoy all the facilities of this property too. 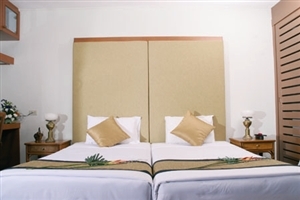 The Studio rooms at Kantary Bay Hotel feature a comfortable seating and sleeping area, plus a kitchenette for greater self-sufficiency. 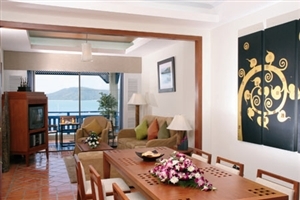 The One Bedroom Suite at Kantary Bay Hotel offers a separate bedroom and living area for great privacy and comfort, plus a fully-equipped kitchen. 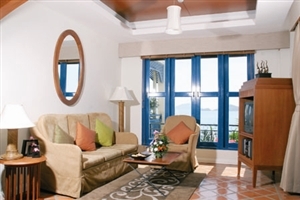 The Two Bedroom Suite at Kantary Bay Hotel offers two separate bedrooms and living area for great privacy and comfort, plus a fully-equipped kitchen.